Fido is a DIY electronic tool that can monitor greenhouse temperature, record greenhouse data, and alert the farmer to problems in the greenhouse via cell phone text message and email. This tool is much more affordable than commercially available greenhouse alarms. Fido has been tested by several farmers to ensure that it is accessible and appropriate for various operations. There are two Fido models. Works only where there is a power source and within 100 feet from Internet source. Expandable up to a mile using a Wifi Bridge. Does not require soldering, pieces snap together. Configured using a wizard on the device. Runs on a battery for weeks, sends text messages anywhere there is cellphone reception. Configured by text messaging your Fido Cellular. To build a Fido Cellular, check out this guide. 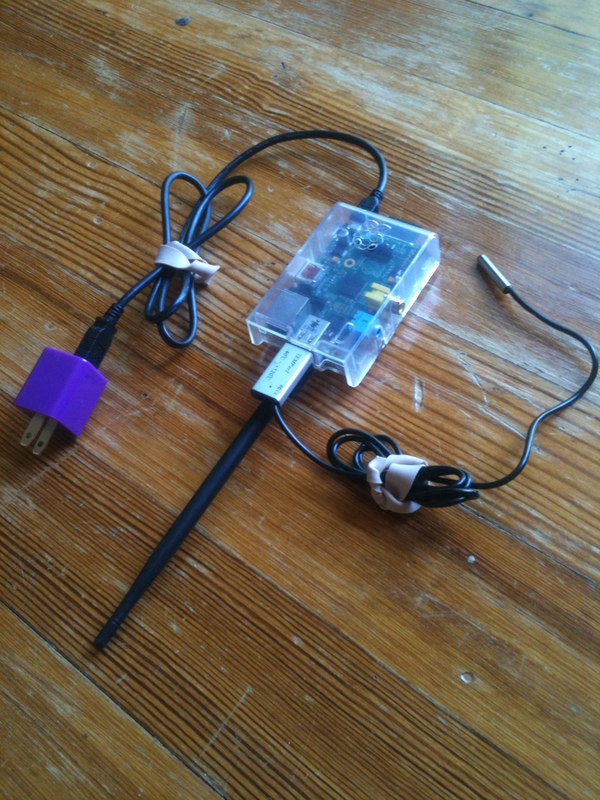 To build a Fido WiFi, find the documentation on Github here. It's a Raspberry Pi project! Feel free to comment to ask me questions!